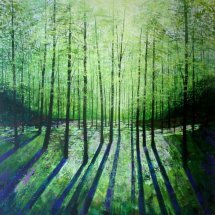 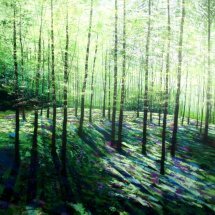 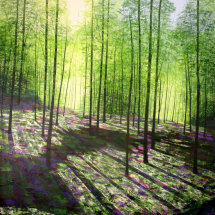 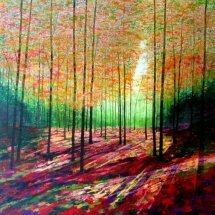 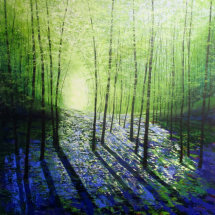 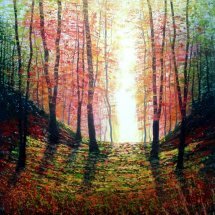 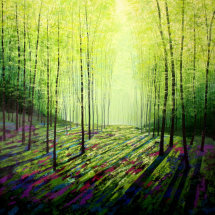 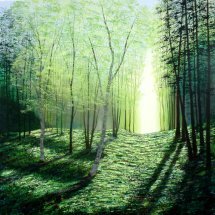 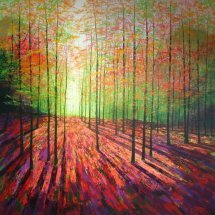 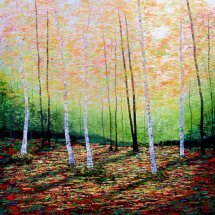 "The Stillness of Trees" captures the beautiful woods near my home in Summer where sunlight falls through the leaves creating dramatic shadows. 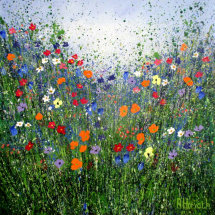 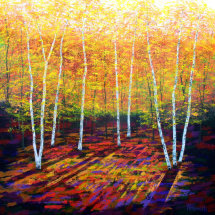 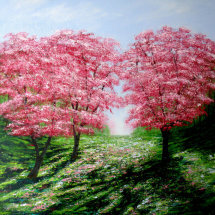 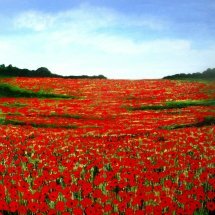 An original artwork, one of a kind, this painting has been created with high quality acrylic paints on deep edged canvas, using impasto techniques layer on layer applied with a palette knife to create a contemporary painting, which lies somewhere between abstraction and realism. 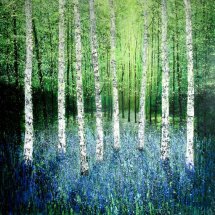 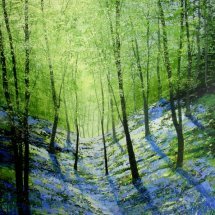 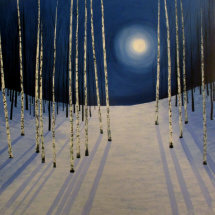 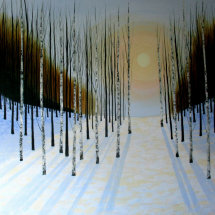 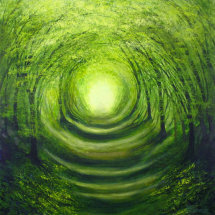 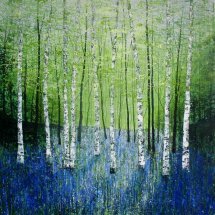 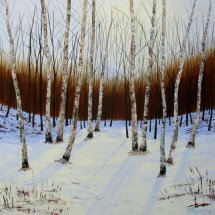 Can be seen at the Wey Gallery Surrey.